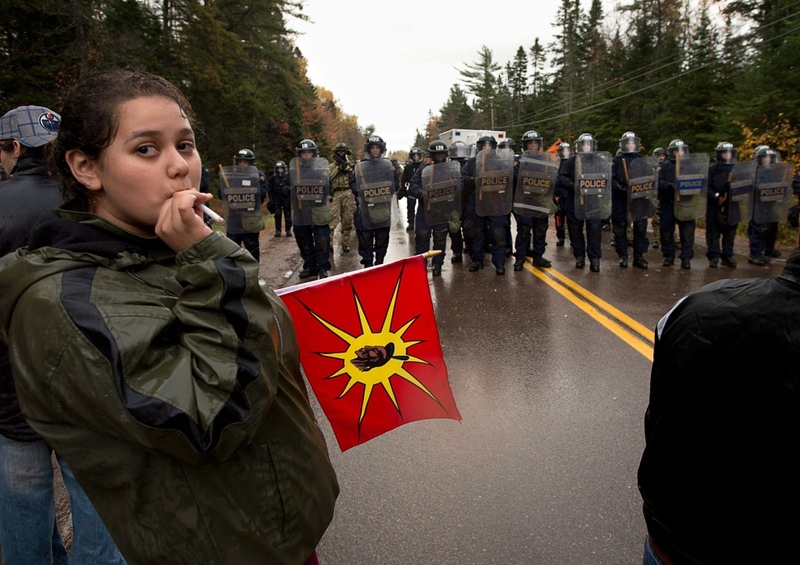 RCMP in riot gear during raid on anti-fracking blockade, Mi’qmak territory, Oct 17, 2013. Due to some unavoidable technical glitches we lost some interview time on the APTN InFocus show on Indigenous Resistance. This means I wasn’t able to address all the key points I wanted to, so now I would like to get some out on here.